Xcalibur W offers shadowing, enabling the system administrator to take control of any enrolled device using VNC as the underlying protocol. The service is self-managing, allowing one-click usage. Xcalibur W uses HTLM5 for the rendering of the remote session, therefore administrator is required to use an HTLM5 webbrowser. The port numbers for the outbound VNC connections to the Xcalibur W Server can be customized as below. Right-click a device in the Device List and select Remote desktop (VNC) from the Contextual Menu. 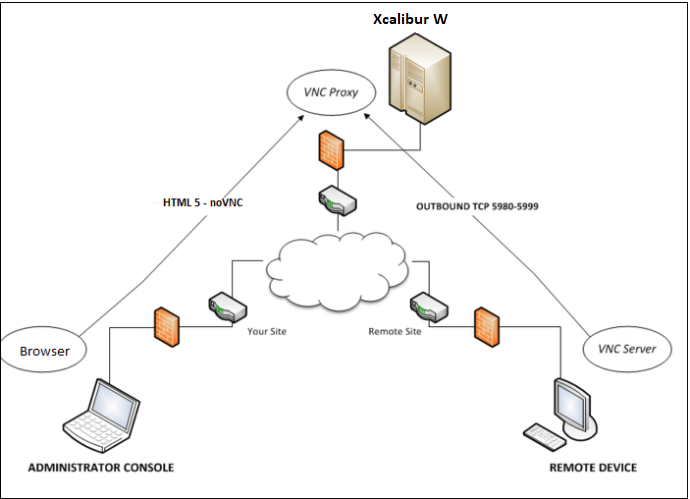 A task is published to the selected device, requesting it to initiate a reverse VNC session to the Xcalibur W proxy VNC server. The device will pick up the published task and then process it. Once complete, a dialog box - Available VNC sessions - appears, indicating that the device is ready to be shadowed. From the Available VNC sessions window, the administrator can start a remote assistance session, end a session, or start a view-only session, as shown below. Click on the VNC connection to open a new browser window (using HTLM5) to shadow the selected device. 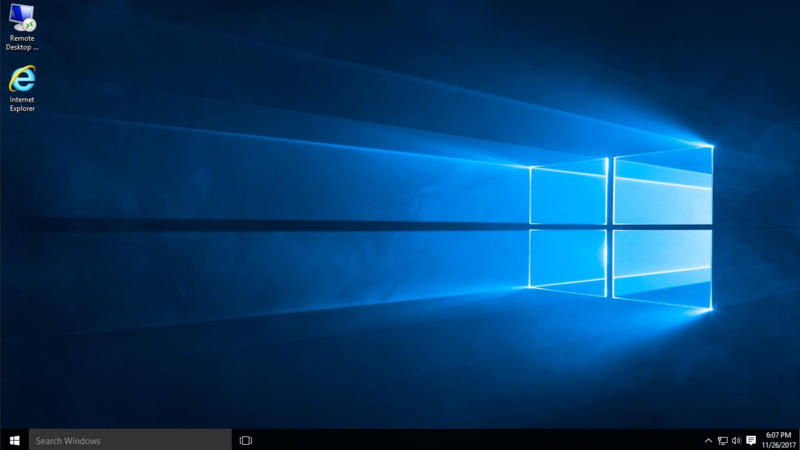 Note that even if you close the VNC window, the reverse VNC connection will remain active on the server, potentially allowing other Xcalibur W users to access it. To close the reverse VNC connection, use the button in the Available VNC connections dialog box. Configure VNC-related settings on the Settings page (Views > Manager Options > Settings). Sets the delay after which the proxy will close all active VNC connections on the server. Defines the range of ports used for the TCP outbound connections from the Administrator Console to the Xcalibur W Server. Defines the range of ports used for the TCP outbound connection from the remote device to the Xcalibur W Server.